This case was built for Oxygen Event Works as a way to carry miscellaneous parts and adapters for audio systems. 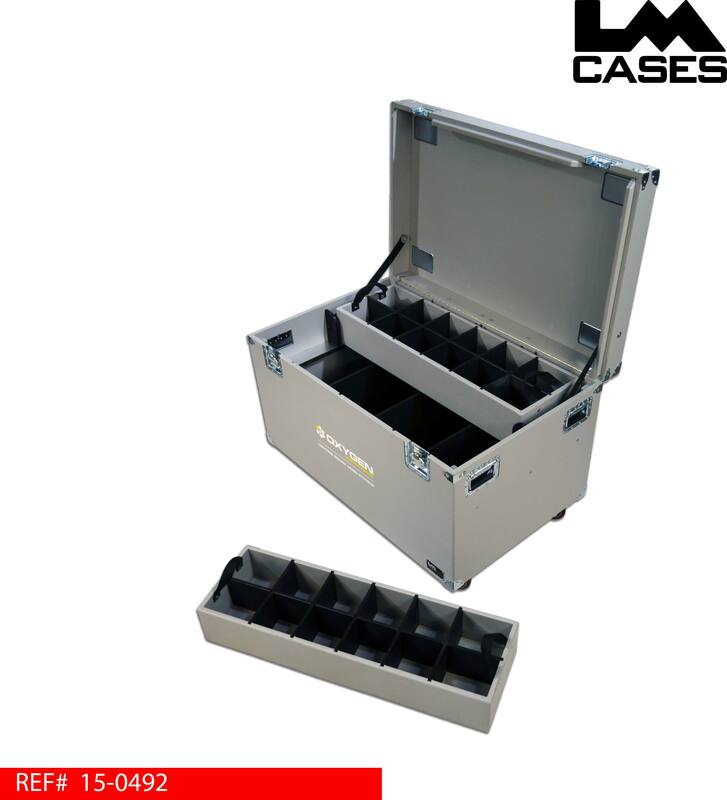 The trunk features 2 removable trays for adapters and removable dividers in the main compartment for segregating cable and other items. The case and trays are made from high quality Baltic Birch and finished in gray texture coating. Each of the removable trays are built out of 3/4" Baltic Birch and feature 12 compartments. The divider network is built out of 1/2" Marine Grade plastic. All edges on the plastic and wood are routed and all fastener holes are filled for a smooth finished look. 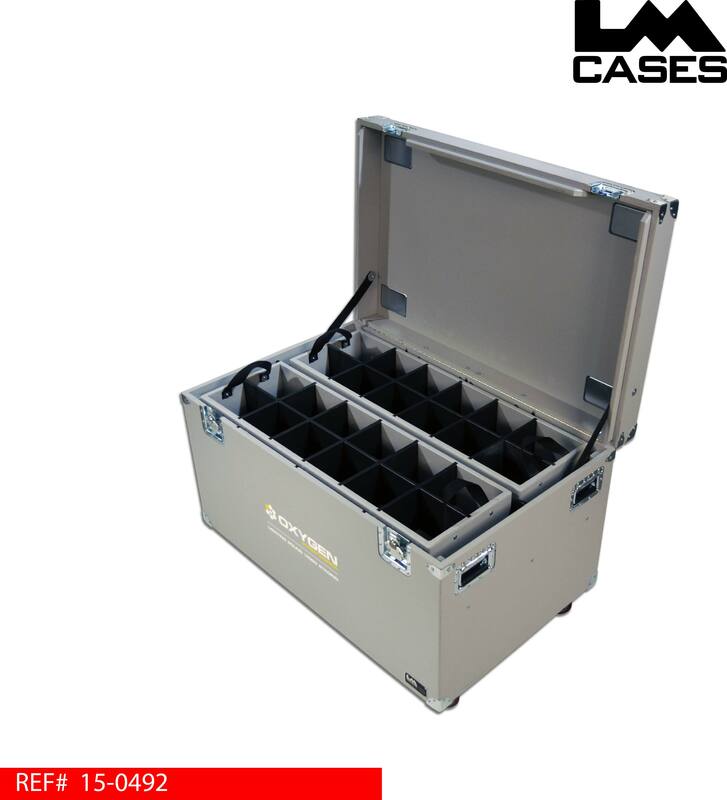 The bottom of the case is divided into 3 compartments with removable 1/2" Marine Grade plastic panels used as dividers. The exterior case is built out of 3/4" Baltic Birch plywood. 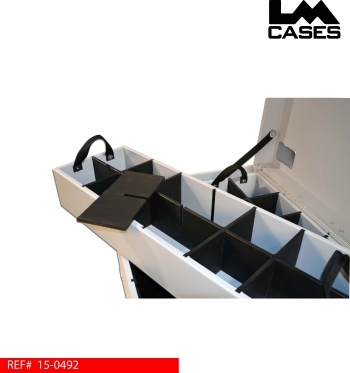 All of the case hardware is double recessed for a flush exterior for precise truck packs. The case features stacking caster wells in the lid, recessed handles and Colson 4" x 2" HD casters. 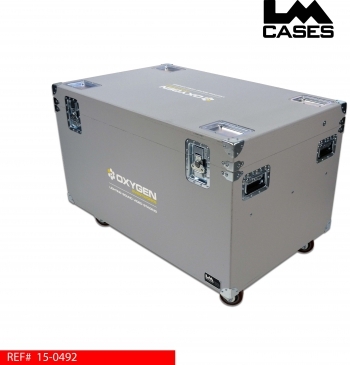 The bottom of the case is 1.5" thick to support extra weight. 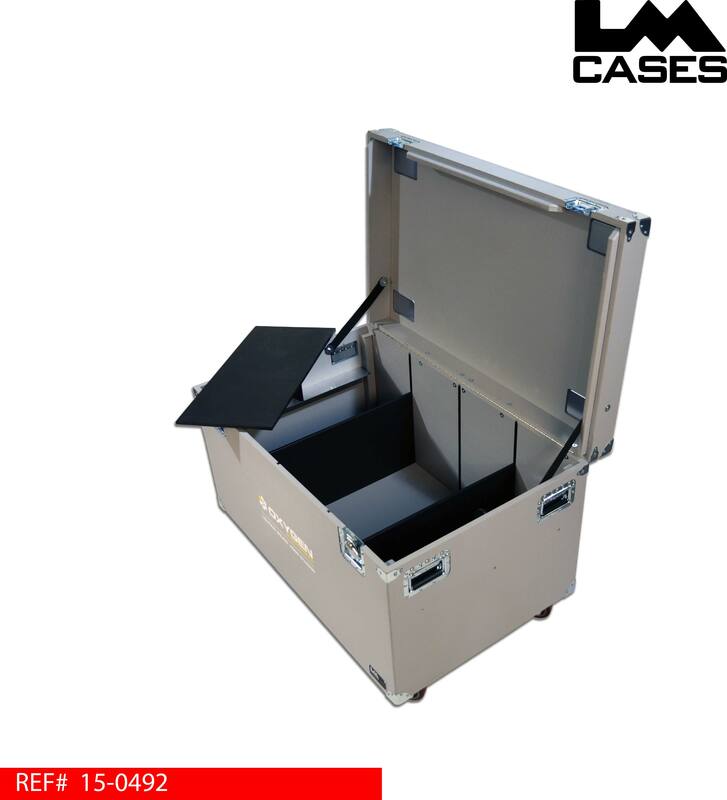 The case is finished in custom gray texture coating to match the OEW company color and features a custom multi-color silkscreen of the companies logo. Special thanks to Oxygen Event Works! !